I don’t know about you but I am a fan of any recipe that calls for lemon. And in my book, the bright flavor lemon imparts to desserts is simply perfection. So when I created these keto lemon cookies I made sure it had a combination of lemon juice, lemon zest and extract. 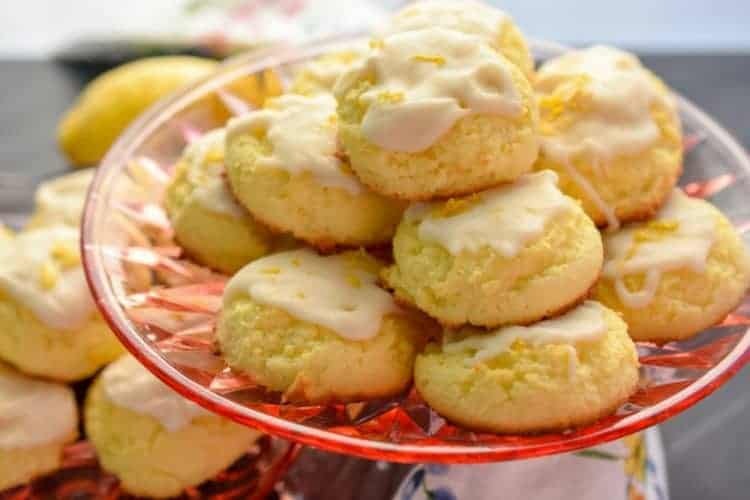 These keto lemon cookies are made with coconut flour and cream cheese for the perfect tangy, cakey cookie. 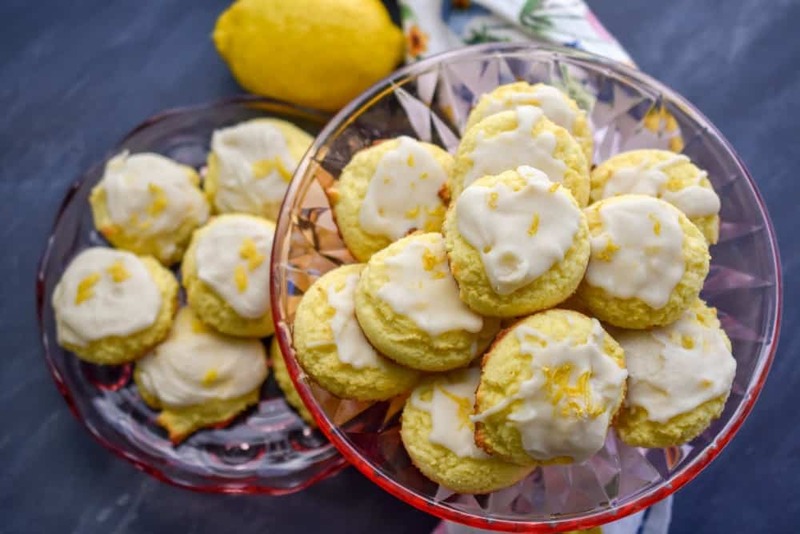 If you love all things lemon as I do, these low carb lemon cookies are sure to put a big smile on your face. If that’s not all I added a keto lemon glaze that makes these lemon keto cookies extra special. The lemon juice in the icing is what gives these cookies it’s tart and tangy taste. In case you don’t know, I have a complete list of Keto Cookies that any cookie lover doing keto would enjoy exploring. If you’re a fan of cream cheese, here are some other Keto Cream Cheese Recipes you must also check out. Have you ever wondered how I come up with some of my keto recipes? Take for instance these keto lemon cookies that started like most of my recipes with me rummaging through my baking cupboard while saying a prayer. I don’t mean like a casual prayer. This girl truly invites Jesus into her baking process. If that sounds strange to you, you have lots to learn about me. Because this is exactly how I created these keto lemon cookies. Can I be truly transparent with you? I think my baking pantry may shock some of you because of its simplicity and lack of ingredients. I am pretty certain that most food bloggers trying to come up with a recipe like my keto nut-free lemon cookies probably have an array of ingredients to work with. But that’s not usually the case for this girl. Does this mean I sometimes secretly envy some of them? Well, I admit I have been guilty of this. However, the way my mind works is that keeping my low carb baking cupboards only stocked with some basic staples forces me to be creative. Have you ever heard the saying “necessity is the mother of invention”? Yeah, I live by those words. Here’s the thing, I think my low carb keto baking cupboard probably looks a lot like yours. It too is probably not always fully stocked, and it’s not full of rare ingredients. Am I correct in assuming this? It’s one of the reasons why my keto recipes, are kept simple. I say all this to say that, when I came up with the recipe for these keto nut-free lemon cookies, I had just run out of almond flour, and Randy was wanting a little keto friendly treat after dinner. So being the great wife that I am 😉 I rolled up my sleeves and created this little number using coconut flour. I love that today I can share a low carb nut-free option with you that allows my friends who are allergic to nuts to enjoy them too. What makes this low carb lemon cookies to the next level is the tangy lemon glaze. 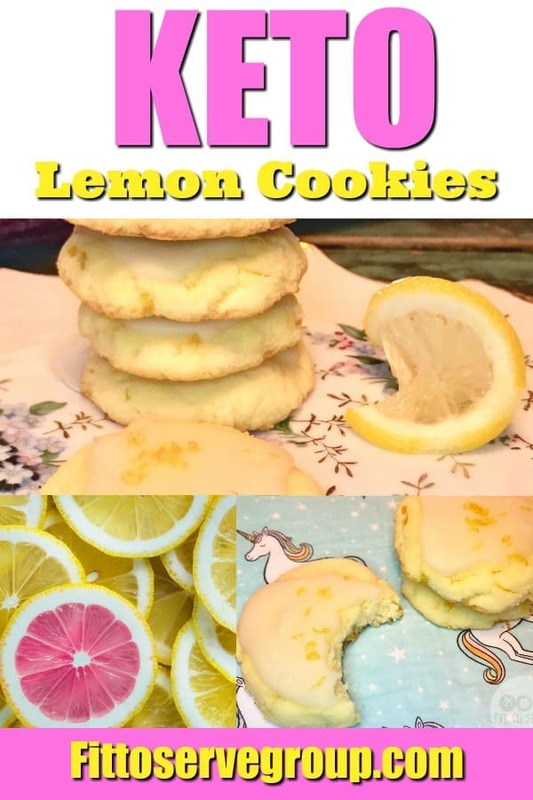 When it comes to making these lemon keto cookies I have several options when it comes to which sweetener you can use. 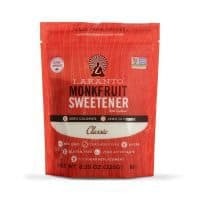 I really like Lakanto Monk Fruit because the texture mimics regular sugar really well. And as far as any aftertaste, there is barely any. Honestly, it’s the one sweetener that never gives me an issue. I’m also partial to Swerve an erythritol blend. Although it does have a cooling aftertaste when used in a larger quantity. Personally, it’s not an issue for our family and it’s why I am a fan. You could also use the stevia and erythritol-based brand Pyure for most of my baked goods. 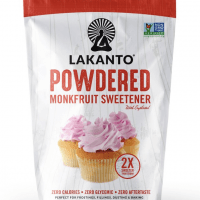 However, when it comes to keto the keto lemon glaze you will have to use a confectioner’s sugar substitute. Both Lakanto and Swerve have great ones. I used coconut flour when I developed this recipe and have not tried making an almond flour version. But if I do it would not be an even swap since coconut and almond flour do not behave the same. If you’re wondering if these cookies taste like coconut they don’t. The lemon flavor is pronounced enough so that it neutralizes it. 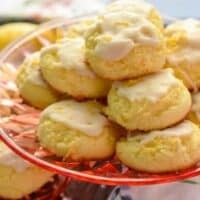 So even if you are not a fan of coconut flour you might want to give this keto lemon cookie recipe a try. After seeing how much my readers enjoyed this lemon keto cookie, I created some Keto Cranberry Orange Cookies. So if you love this low carb lemon cookie, you’ll also love my cranberry orange ones. AND my Keto Cream Cheese Cookies. PLUS check out my Keto Cream Cheese Chocolate cookies for a rich chocolate version. It's a recipe for keto lemon cookies. It's made with coconut flour and has a tangy lemon icing. In a medium-sized bowl mix together the coconut flour, baking powder, salt and set aside. In another bowl using an electric beater, mix together the softened butter, cream cheese, sugar substitute, lemon peel, and extract, until fully combined. Then add the 4 eggs one at a time beat well after each addition. Add the whipping cream and combine until fully incorporated..
Then add the dry ingredients to the wet mixture, mix well until batter is combined. Chill the dough for ½ hour in the refrigerator before baking. Using a tablespoon or small cookie scoop measure out the cookie dough and roll the cookie dough to form balls. Lightly flatten the cookie dough balls unto a lightly greased cookie sheet. Bake for 15 minutes or until lightly brown around the edges. Allow cookies to cool for 30 minutes before icing with the keto lemon glaze. Hi I was wondering if you could use lemon juice instead of lemon extract? And if so do you know if the measurements would be the same?! Thank you! Hi Sadie, you really can't get the same lemony flavor with lemon juice alone. Personally, I would wait till you got your hands on some lemon extract but if not go ahead and leave it out. But keep in mind that the lemon flavor will be much milder. These are delicious, without the glaze! When I made my first batch, they were huge! I used less dough the second batch, and didn’t flatten. I’m sure they’ll even be better once I add the glaze. Thanks so much for sharing! Awesomeness Rebecca! Glad you enjoyed them.